Warsaw’s Frederic Chopin School of Music is a prestigious music institution, held in high esteem across Poland. With the help of Nadaje Broadcasting, the school has been able to share its lessons with 400 music schools right across the nation. The best way to make this knowledge available live to a broad audience, in diverse locales and facilities, is to stream it. However, unmanaged public streaming isn’t up to the task in this instance. There’s the personal privacy of students to consider, traffic needs to be kept under control and the intellectual property of the school needs to be protected. With this in mind, the Frederic Chopin School is using an Internal Protected Streaming service provided by Nadaje (whose name means ‘broadcast’ in Polish), thus protecting their content from unauthorised access. The technique is similar to that employed by governments and corporations requiring secure internal video communication, and it enables the school to deliver classes, concerts and other educational materials to a carefully restricted audience. The Frederic Chopin School does all its own production and encoding, then hands the signal to Nadaje’s servers and software. Nadaje built its name on providing radio services, so it is well-matched to a customer for whom high-quality audio is a basic requirement. “Our company puts the maximum attention on audio,” says Dalętka. 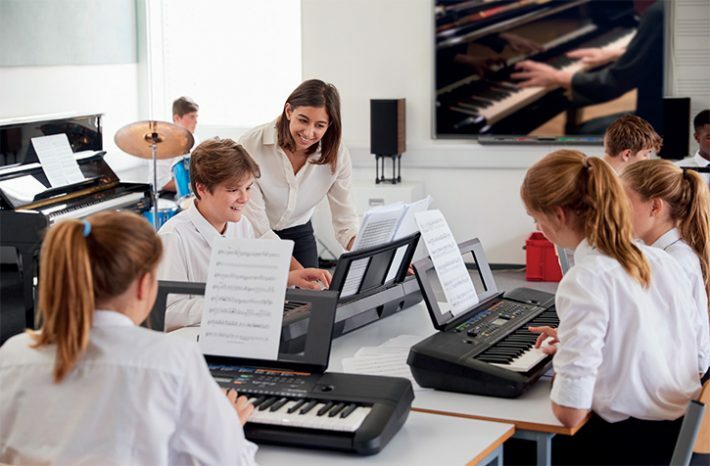 To access the content, each participating school simply logs into the appropriate web page and watches the Frederic Chopin School stream via a browser window. From a user perspective, it’s relatively simple, but behind the scenes, there’s more going on. Authorisation takes place on Nadaje’s own website and then, using token-based authentication, is integrated with Streamroot CDN. This guarantees that only authorised users can access the livestream. Merely copying and pasting the feed address will be unsuccessful, as the token won’t be present. It’s simpler than a DRM solution but still robust enough to keep the content secure. The content streams via HLS to the HTML5 player on the web page. This could be a page which is visibly at Nadaje’s own domain (eg. https://nadaje.com/customer_page), or alternatively, as is the case with the Frederic Chopin School, it could be a variant on the customer’s own URL. The customer can redirect a CNAME DNS record of their own (for example, https://live.customer’s_domain.com) to a page on the Nadaje server. The customer can then visually customise that page to match the rest of its website. This way, there’s no need for the customer to have to manage any part of the stream on its own servers. Nadaje’s own servers with Streamroot CDN are built to handle high volumes of such traffic by design. Put together it means that aspiring musicians all over Poland have the chance to develop to their full potential without having to travel to Chopin’s home town to do so.